How to use a sales script the right way! LIVE: Susan Says! 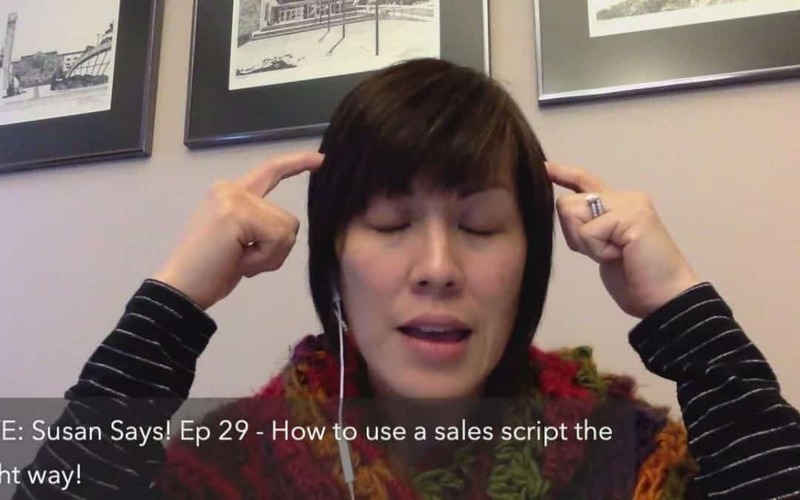 Ep.29 – How to use a sales script the right way! You’re using a sales script from that course or book or program, only to not be able to close sales and help more people? I still write out my scripts when I try new phrasing, or adjust my tempo. Today come and join the conversation about the right and wrong way to using your trusted sales scripts to close more sales with ease! Thanks for joining me live Lori! What was a takeaway for you?